If you have a relative or friend who died in the 1944 Normandy Campaign…Do check to see if their name is listed on the roll of names to be included on the new Normandy memorial, hopefully to be constructed at Ver-sur-Mer in time for the 75th anniversary 6 June 2019. 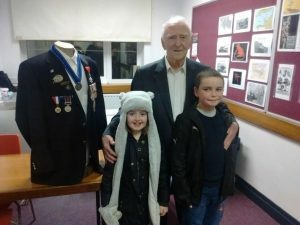 Visit www.normandymemorialtrust.org; then on the bars in the top right hand corner, select “Roll” , and follow the instructions to complete the details. Feedback is that by just adding the first and surname, and selecting which service, the names are easily found without the need for the service number. 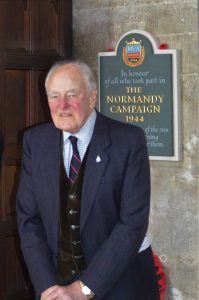 If his/her name is not included or if anything is incorrect, it is important that you contact the Normandy Memorial Trust immediately to ensure that the name is added/corrected. 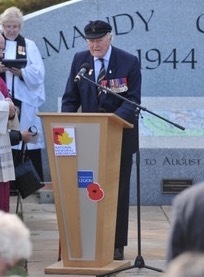 An Obituary for Brigadier David Baines from the Telegraph can be found here. It is with great sadness that we have to report the passing of Brigadier David Baines MBE, who died yesterday 1st March 2018. 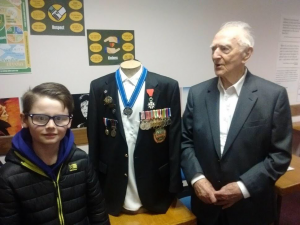 He was National President of the Normandy Veterans Association (NVA) and also served as President of the Wiltshire Branch of the NVA and a former Trustee of the Spirit of Normandy Trust. 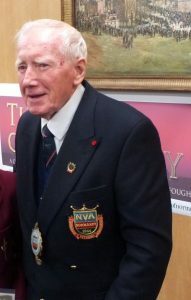 David was a passionate and outstanding ambassador for the Normandy Veterans and was rightly determined that the Normandy campaign should always be properly remembered. It is expected that there will be a private family funeral and a memorial service to be held at Salisbury Cathedral. Details will be announced as soon as possible. Our condolences go to Mrs Baines and the family.